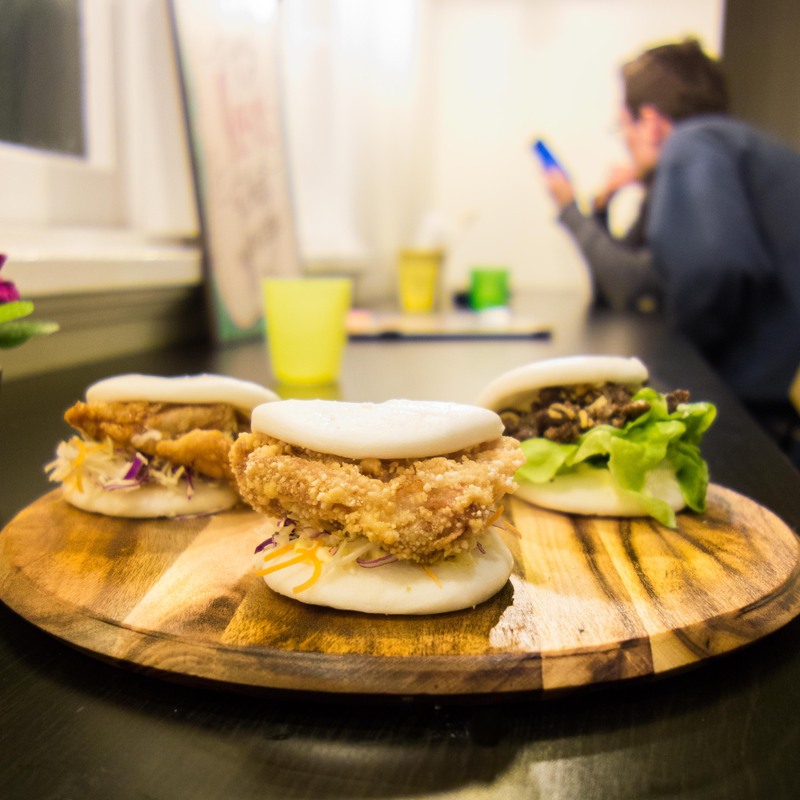 From Instagram to word of mouth, the Don Burgers has gained its popularity over Perth for their ramen burgers, baos and not forgetting those matcha and durian crepe cakes. After smashing out a combat class on a Wednesday evening, Elwyn, Jess and I head to The Don Burgers to reward ourselves with ramen burgers, baos and crepe cakes. 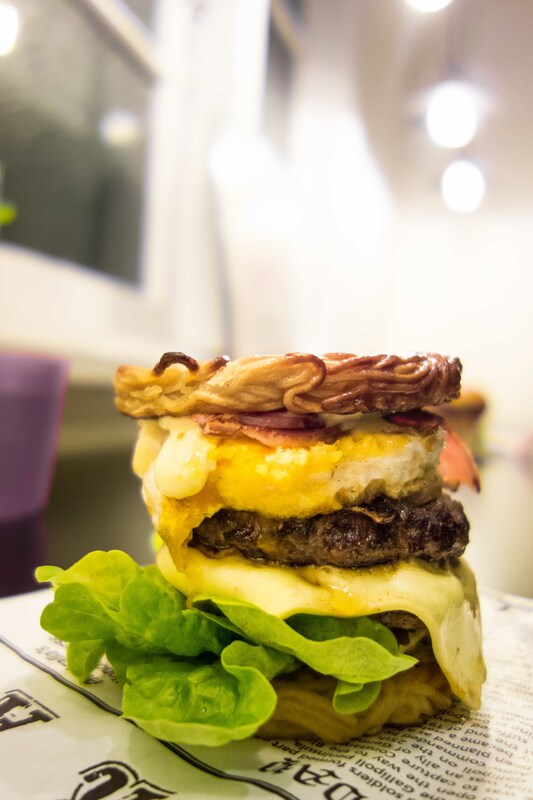 The Don Burgers is a pop up restaurant in Victoria Park, located at the same home to Sarapan and previously JBento. 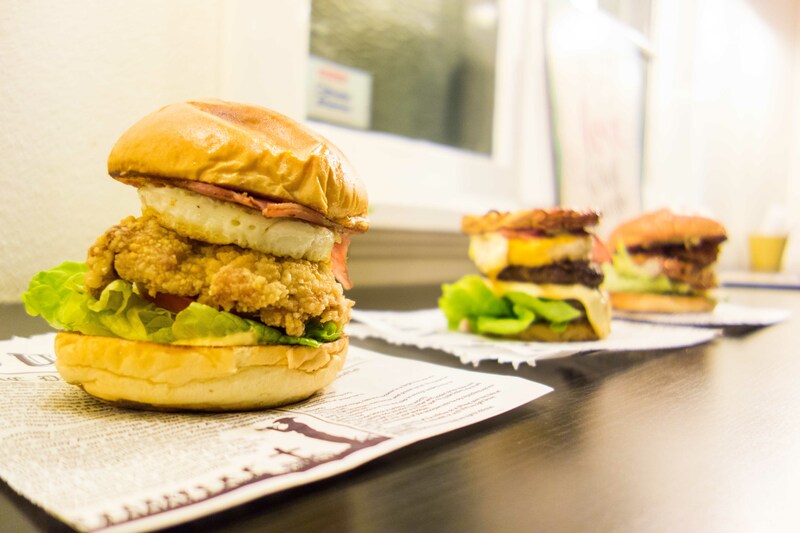 At Don Burgers, you get to choose either ramen or brioche bun to go with your burgers. We shared the Teriyaki Chicken burger ($10), Super Ninja ($12) and Ultimate Cow Beef Burger ($13). We decided to opt for the brioche bun for both the Teriyaki Chicken and Super Ninja Burger. I really enjoyed the Super Ninja Burger. Word has said that Don burgers serves up a damn good karaage chicken. Yes, I can now affirm that the karaage chicken from Don Burgers is one of the best. It’s light, super crispy, crunchy and tender. It’s a matchmake in heaven with the Yuzu-mayo, bacon and egg. 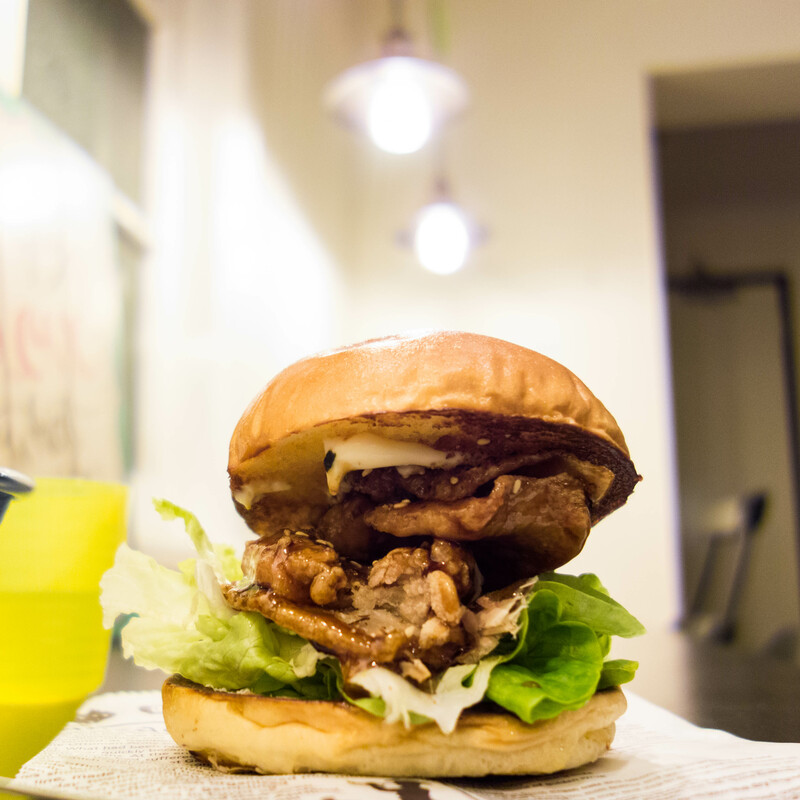 The Teriyaki Chicken burger is as delicious too – it’s marinated well, succulent and juicy, complementing well with the fresh flavours of the tomato, lettuce and bonito flakes. We also shared an Ultimate Cow Beef Burger ($13) which comprises of double beef patty, tasty cheese, tomato, lettuce, onion, Don-mayo, bacon and egg, topped with our choice of a ramen bun. It was deliciously good, the double beef patty tender and juicy. We also shared a Bao Trio ($15) which comprises of the Crispy Cheeky Bao, Sang Choi Bao’s Bao and Teriyaki Chicken Bao. Our favourite was definitely the Crispy Cheeky Bao. It’s a crispy and crunchy explosion with every bite in your mouth. A perfect combination with the Yuzu mayo. For the Teriyaki Chicken Bao, the sweetness of the teriyaki chicken complements well with the soft, pillowy texture of the bao. Wait a second…did you also mention Sang Choi Bao’s Bao? Yes I did but at Don burgers, it’s really a Sang Choi Bao in a bao, comprising of beef mince, bean sprouts and lettuce! The bean sprouts and lettuce gave it’s fresh flavours and a crunchy addition to the lightly marinated beef mince. 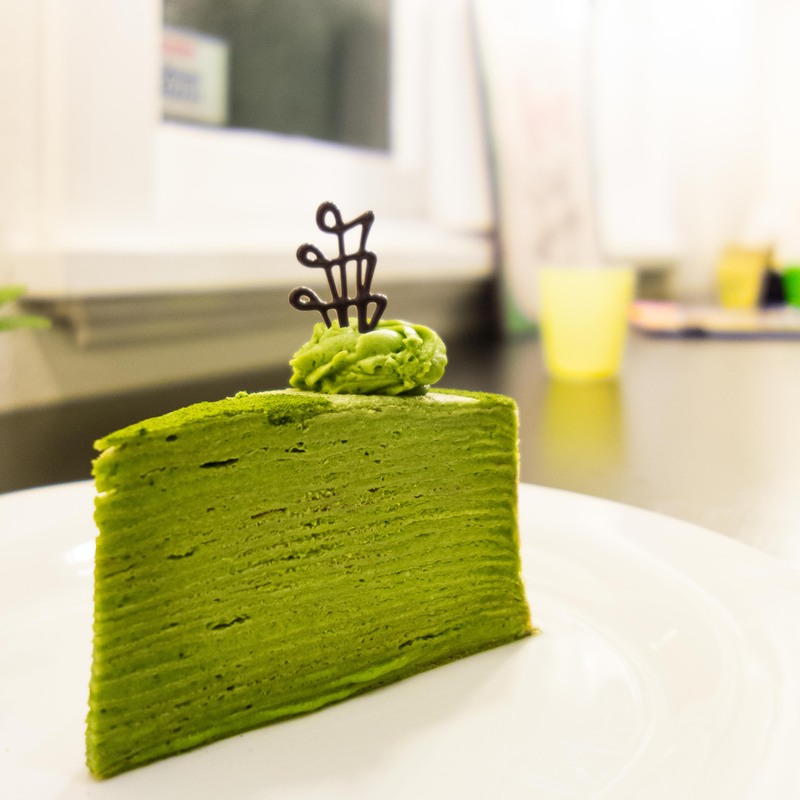 To finish, we shared a slice of Matcha Green Tea Crepe Cake ($9). This cake comprises of layers and layers of crepes stacked to make this light, smooth and creamy cake. It’s pure layers of indulgence. If you love durian, they also do a durian crepe cake too – which I have yet to try and am looking forward to be back for it! Overall, we had quite an enjoyable night indulging in very satisfying food and not forgetting plenty of photo taking opportunities of food (credits to Elwyn from Elwyn Lan Photography for the photos in this post). The service was excellent, friendly and attentive. A big thanks to Jonas and the team for the Bao Trio too. Yes, I can’t wait to be back for the durian crepes cake and more ramen burgers!